Are you looking for a fun way for your students to practice their addition number facts to 100? 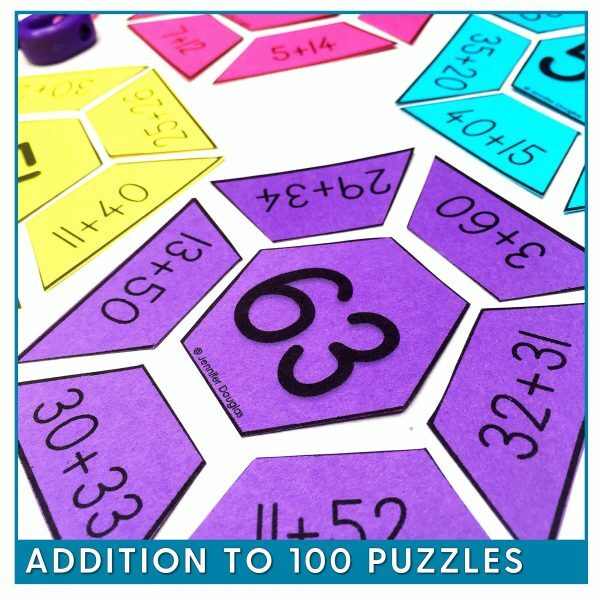 These math puzzles are perfect for reinforcing basic addition facts to one hundred. 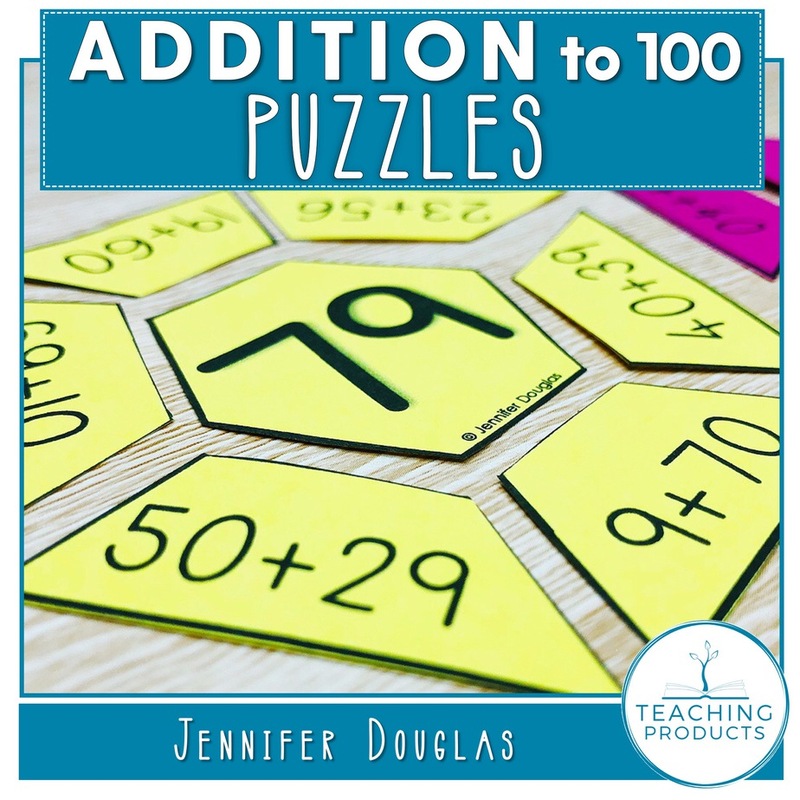 The included Teaching Notes provide tips for implementing these addition to 100 puzzles in your classroom, including ideas for individual or small group activities, centers, and games. 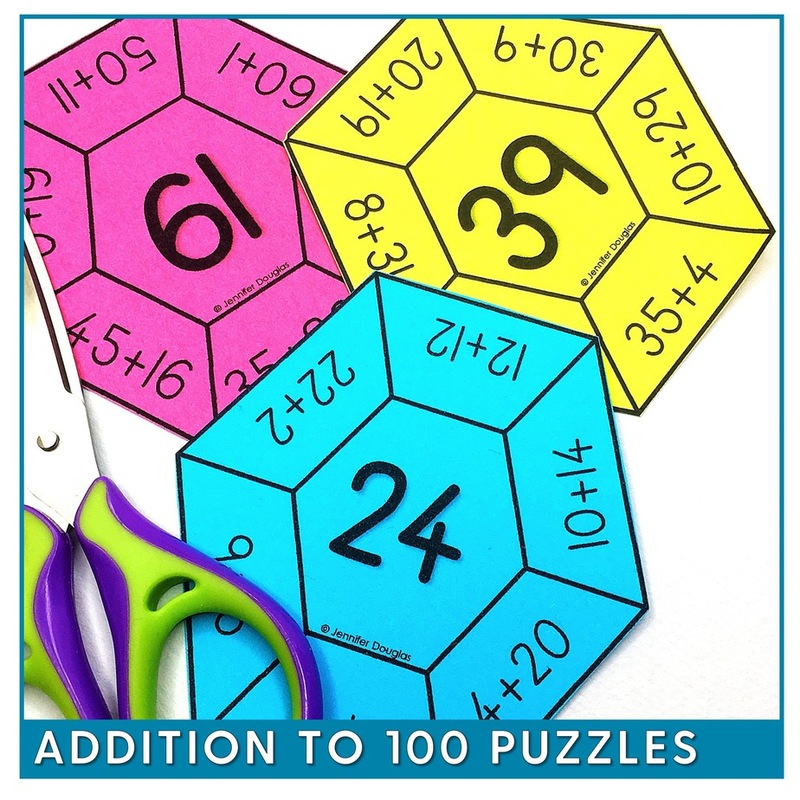 Ready to print, cut, and use – I like to print them onto colored card stock! These addition puzzles can also be laminated for repeated use. 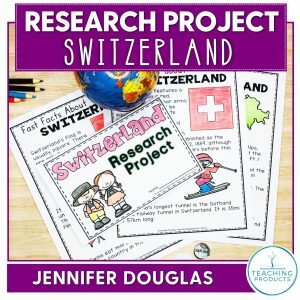 Not sure if this is the product for you? 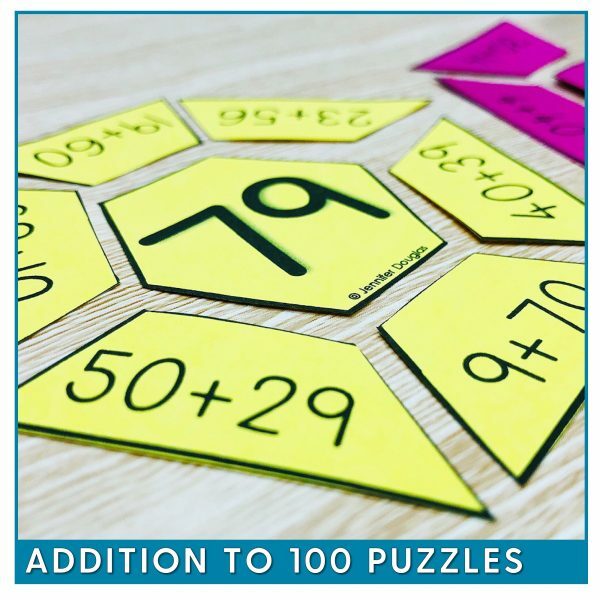 Why not check out the free pack in our Resource Library – it includes puzzles for numbers 6-20.